WORK to re-open a radar base in Unst is due to start in the coming weeks, the UK Government has confirmed. Parliamentary under secretary for defence procurement Harriett Baldwin wrote in a letter to Northern Isles MP Alistair Carmichael this week that work at Saxa Vord will begin in October. She confirmed that there are no “long-term plans to station any additional personnel” at the Saxa Vord site, but RAF crew and contractors will “need to attend the site periodically to ensure continued serviceability”. Putting an end to months of speculation, it was confirmed earlier this week by the Ministry of Defence that a new radar system will be installed on its “remote radar head” at Saxa Vord – more than a decade after the previous base closed. It is thought that up 50 people may be involved in setting up the system, while the amount of staff who would continue to work at the base back and forth could be in double figures. No staff are expected to be permanently based in Unst – a far cry from when hundreds of RAF crew were situated on the island in past decades. It is believed that RAF officials will visit Unst next week as momentum builds on the project, which some feel is a reaction to increased Russian military activity. Baldwin wrote in her letter, which was dated 14 September: “As you may be aware, since the remote radar head at Saxa Vord was closed in 2006, most of the site was either sold off or kept under care and maintenance by the Ministry of Defence (MOD) in the event it would be required again. “A small amount of military and civilian radio and datalink equipment has continued to operate from the retained elements. “I am pleased to confirm that work is due to begin next month to restore the radar capacity there. 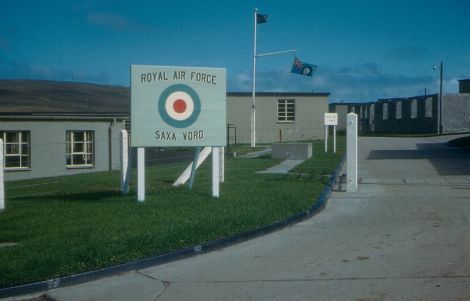 While there are currently no long-term plans to station any additional personnel at the Saxa Vord site, RAF personal and contractors will need to attend the site periodically to ensure continued serviceability. “Foreign and Commonwealth Office Services, who have experience in constructing radomes (in which the radar will be housed), have been commissioned to complete this work.